Setting up a customizable PHP for for your website or blogs is definately a hard job. 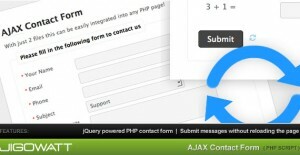 Keeping this in mind, Here I am presenting a list of 20 customizable premium PHP contact forms for several purposes- sign-up forms, advanced contact forms powered with Ajax, jQuery, e-mail signup forms, file uploads and much more. 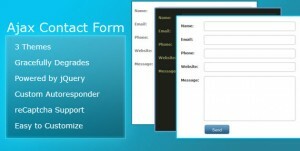 All these forms come with great user interface and design. Now you don’t have to worry about these little things, but just focus on big tasks! This component allows you to easily place a “comment block” on any page of your website. * Sends admin an email with a summary of the comment when a new comment is posted, links to approve / deny. 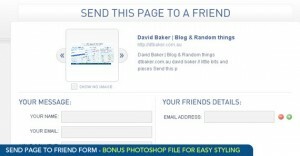 * Add a link to any website and allow visitors to easily “share” the page with their friends via email. * User can customise the page title and description. * Optional comment that is emailed along with page. * You have control over the format of the email that gets sent, style it with your website branding! supports PHP 4 , full support for dropdown menus, radio buttons and checkboxes, and multiple forms from one installation. Upgrade instructions can be found in the user guide. It is simple to install and comes packaged with many optional features which can be turned on simply by editing the config file – so no editing of the main source code is needed. 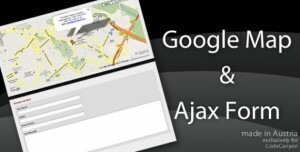 * AJAX backend (no page reloads!) Save your bandwidth! * Very easy to integrate into any existing HTML or PHP page on your website. * The form style can be integrated into your existing website Stylesheet or you can use the Default Style. * All fields have a validation script so you get the * required info you need. * You can customize the success message. * Email validation is included. * Duplicate emails won’t be recorded. * A custom page is used to view all emails, separated by commas or semi-colon. 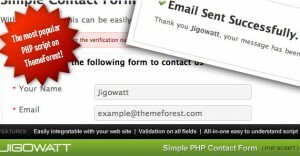 * Very easy to integrate into any existing PHP page on your website. * The form style can be integrated into your existing website Stylesheet. * All fields have a validation script so you get the *required info you need. * Anti spam, are you human? filter. 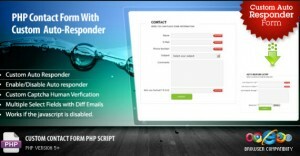 * Only 1 option to configure (your email address) to make the script function. 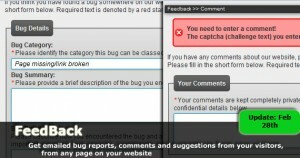 * reCaptcha Support. It’s super easy to turn it on. 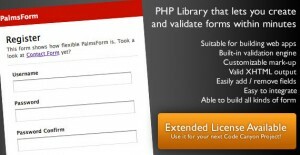 * Simple form easy to edit and add to your PHP or HTML pages. * Dropdown Subject Selection with different emails. * Dropdown Subject Selection with additional emails. * No separate page needed for thank you message. * Message will be displayed on the same block. 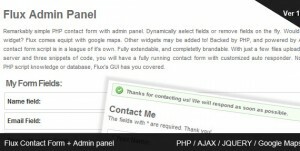 A Remarkably simple PHP contact form with admin panel. 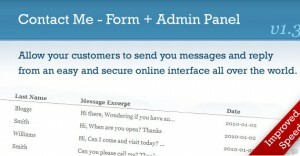 Backed by PHP , this contact form script is in a league of it’s own. With just a few files uploaded to your server and few snippets of code, you will have a fully running contact form with customized auto responder. No need for PHP script knowledge or a database, Flux’s simple GUI has you covered. 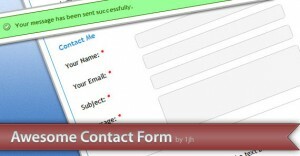 This is a simple but stylish contact form for your website which allows your visitors to enter there e-mail address to be added to a contact list. Installation is painless. It does not require a database to function as it will create and store input into a CSV file. * Reply to message from the admin panel without opening up a separate email client. Have a Contact Us page? 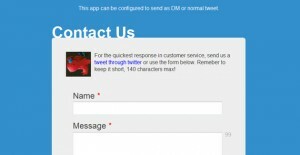 Will you like to turn that snail mail into a Twitter messaging app? If yes, then this is the app you are looking for! Your end users won’t need a twitter account. This app will send you a @mention tweet through your account or send a self-DM. * Configurable to send DMs or public tweets. * Spam bot counter with “Math” feature. * 140 character countdown using jquery. The best part about this form is that it is so flexible and convenient for you to customize your form, add / remove form fields, modify error messages, and extend core functionality of the library with minimal effort. 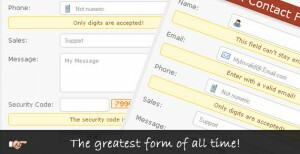 You can use PalmsForm for all kinds of form, in all kinds of web sites and applications. It just works. * Subscribe form that adds the email address and name to a CSV file. 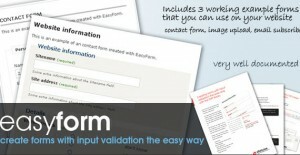 An easy way to make your own custom form! 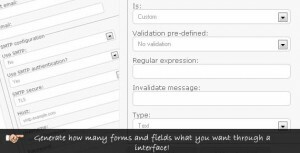 You can control the validation rules, input types, icones and errors messages of a easy way. * Drag and drop to change the order of fields, forms or options of dropdown, multiselect, checkbox lists and radio groups. 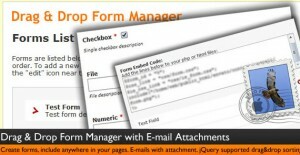 * Determine the e-mail address that you want the form to be sent. 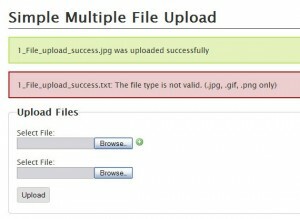 * The form automatically creates attachments to e-mails when file fields are added.